Created by Peter Bowker, From There to Here is set in the aftermath of the 1996 Arndale bombing and follows Daniel Cotton, a Manchester family man who is torn between the life he wants and the life he could have. 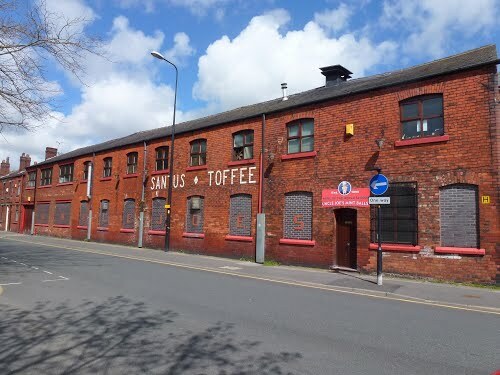 Against the feel-good backdrop of Euro 96, it maps the emotional shockwaves generated by that bomb in the lives of two parallel families from different sides of the tracks. 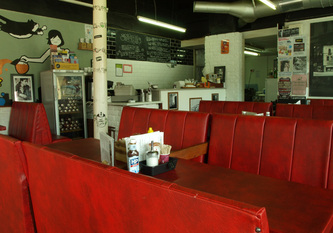 View our episode guide for detailed information about the three separate episodes. 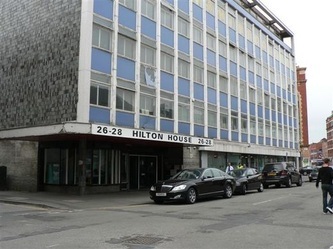 With the Arndale Centre having been redeveloped after the bombing and looking very different today, the producer chose this former office block to stand in for the real thing. As you'll see from some of the photos, the film crew painstakingly recreated the devastation that occurred on that day in Aug 1996. 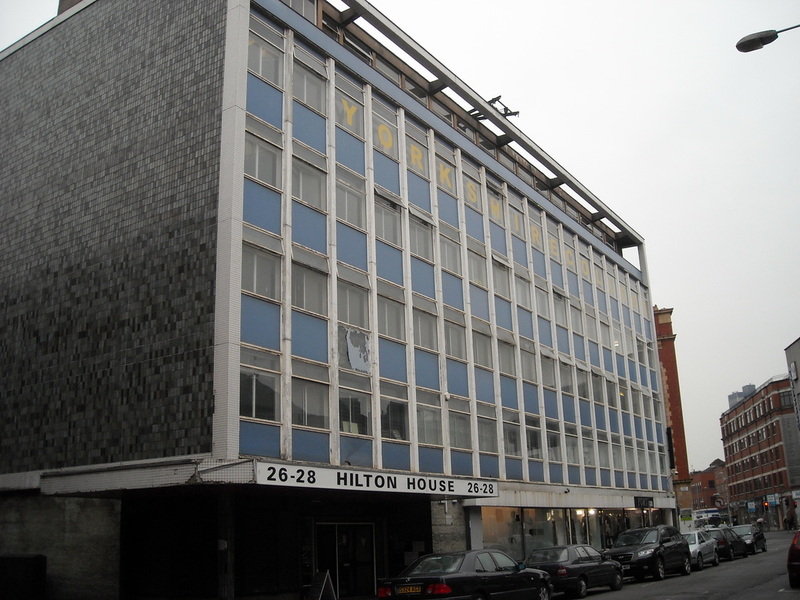 Located in the Northern Quarter, Hilton House is currently unoccupied and up for sale. 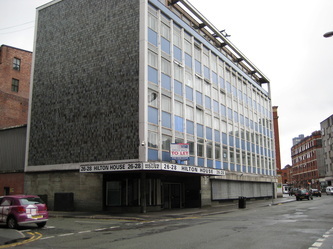 Avid Phil fans fans may recognise this location - it was used as Moston Technical College in Life on Mars 1x07. 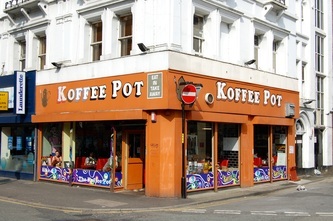 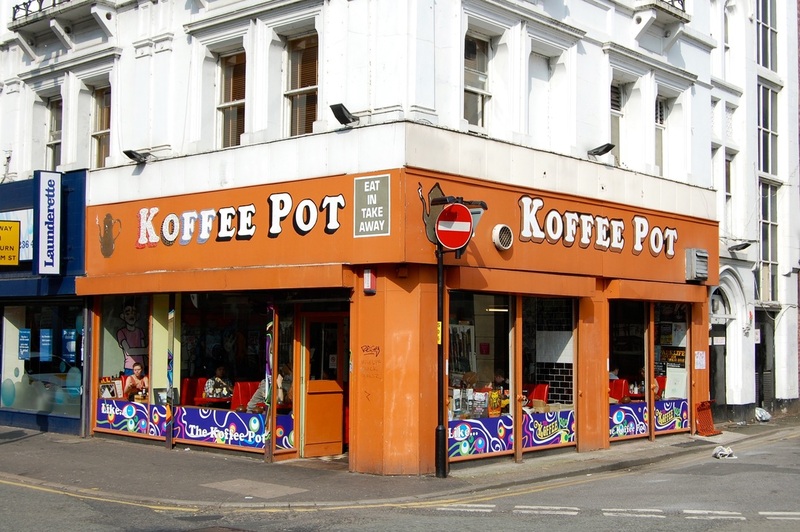 Billed as the home of the best Full English in town, the Koffee Pot is where the city's creative types and bands head to when in need of a post-hangover fry-up. 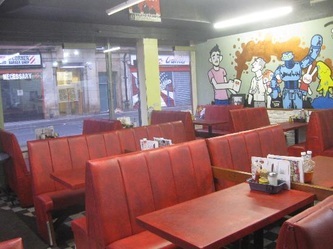 Breakfast and a brew come in at a fiver, and many say once you're sat in one of the wooden booths you find it hard to leave. 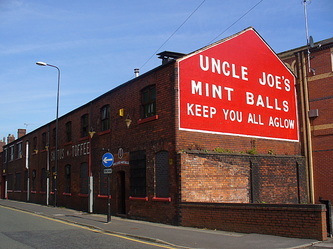 The home of 'Uncle Joe's Mint Balls', the Dorning St works are used as Daniel Cotton's sweet factory.